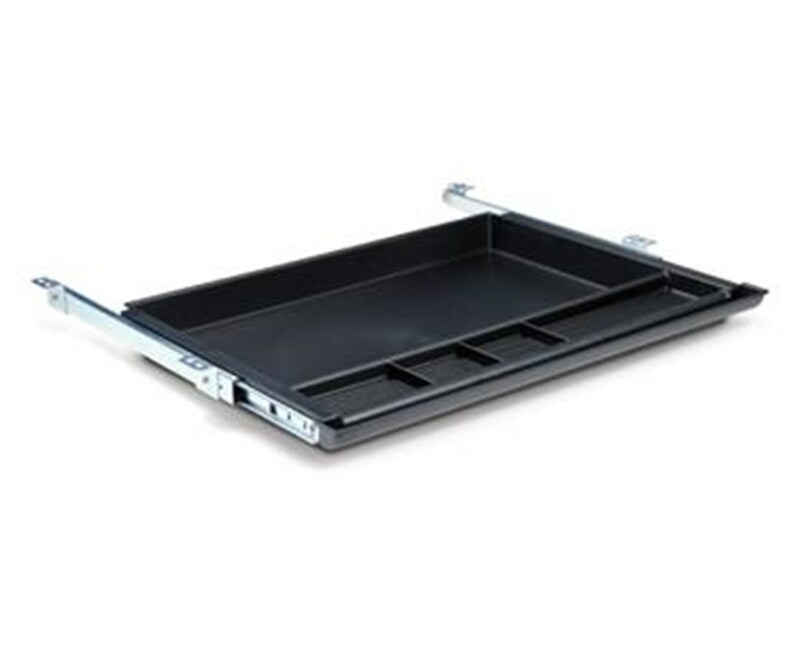 ESI's Pencil Drawer is perfect for bare-bones work spaces in need of storage. 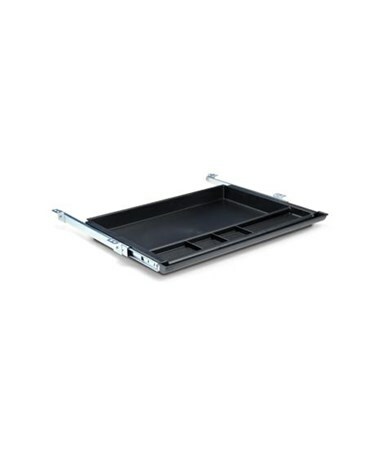 This black molded plastic tray retracts on 16" ball bearing slides to provide both ample storage and out-of-sight functionality. The inside of the drawer measures 20.5" W x 16.25" D x 2" H - plenty of space for most work place tools and accessories. It has opening requirements of 23" W x 16.25" D x 2" H.